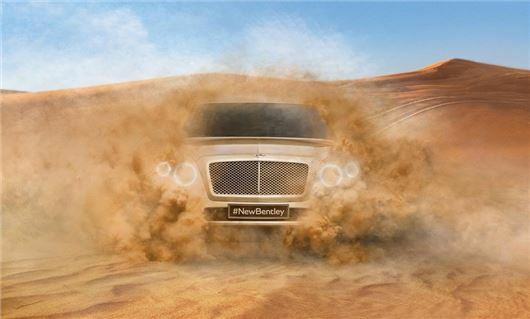 Bentley has released a teaser image of its upcoming SUV, which is due to hit roads in 2016. The new car is expected to be built at Crewe and will create over 1000 jobs at the company's factory, which will receive more than £800 million's worth of investment. Bentley has high hopes for the new model and hopes to sell around 3000 SUVs per year. Details surrounding the new model are still sketchy, but it is thought the new car will share much of its underpinnings with the fellow Volkswagen Group big hitters, the Audi Q7 and Porsche Cayenne/Volkswagen Toureg. Power will come from Bentley’s 6.0-litre W12 engine, mated to an eight-speed automatic gearbox.